I love to get hunting gifts for Christmas, so I make it obvious what I "need". My list is never ending, so it's always a surprise as to which one shows up under the tree! We'll give you some ideas below and on the Hunting Gear page. Here's an idea for just about any hunter or member of your hunting family. 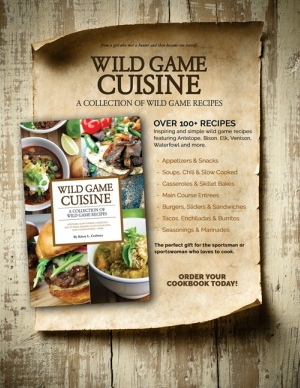 If you like to cook wild game, we have a cookbook that you'll love! It's simple to follow, but thorough at the same time. 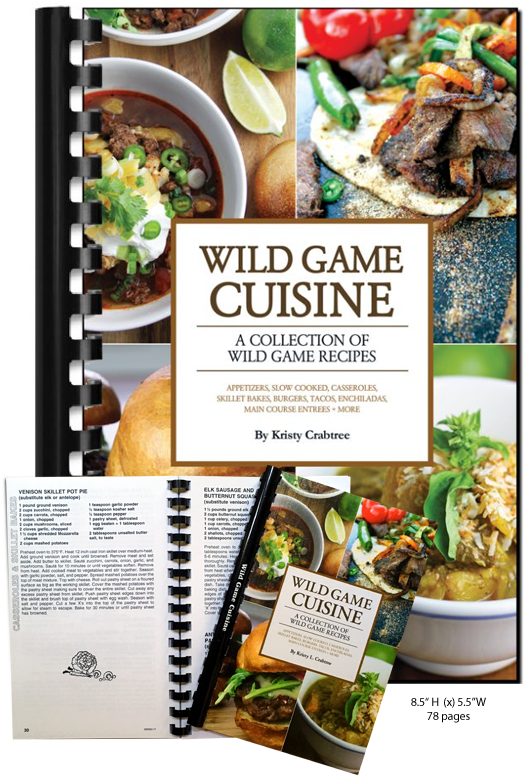 It's the Wild Game Cuisine Cookbook , by Kristy Crabtree. I enjoy talking with Kristy. She has a passion for hunting and developing delicious recipes for a variety of wild game. You will see her name in Rocky Mountain Elk Foundation's Bugle Magazine soon. Order her Wildgame Cuisine Cookbook on ElkhuntingTips.Net and she will sign it for you! Below is the hunting gear that I consider crucial to my own personal hunting success. We do our best to ship the same or next business day. But, order soon to get them in time for Christmas. Let me know if you need something shipped Express: 1-406-431-0876. 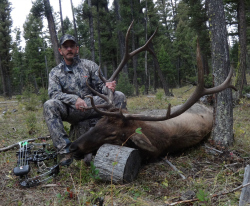 Elk Nut's Outdoor Productions . Study and practice the elk language with real elk sounds and learn the meanings of those sounds. ElkNut makes the best bugle tube I've ever used, as well. We now have them available for purchase on the Elk Nut page. ASAT Camo : We've been selling and hunting in ASAT for years! Free shipping in the U.S.
HECS Stealthscreen : I've been hunting in HECS for four seasons now. I won't hunt without it! It provides a significant advantage by removing a major confirmation that the hunter is a living being. Animals depend on that confirmation. One hunter told me she sits in her rural yard in a lawn chair wearing a HECS suit, while deer and other animals feed just a few yards away. Bugling Bull Game Calls : The most well designed and innovative hunting calls available. StringSling Bow Sling: Carry your bow in a ready position, hands free. I've used one of these for about 15 years! Safari Sling : I quit carrying my rifle over my should for good about 1995 when I discovered these slings. Clip-Shot Mini Camera Mount with Smartphone Adapter: Stay in the picture. Very small. Fits in your pocket. Use your phone camera, or point and shoot anywhere. All you need is something to attach the Clip-Shot to. A branch, arrow or shooting sticks will do. We also have some quality Optics at great prices and free U.S. shipping from Elk Tips Outdoor Gear. Scopes, range finders and binoculars make great gifts for hunters. 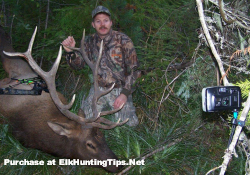 You'll find much more at ElkHuntingTips.Net while you learn about elk hunting and prepare for next fall. 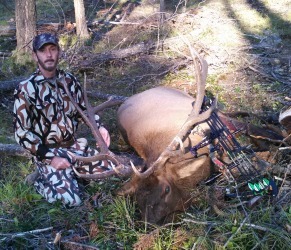 Merry Christmas from ElkHuntingTips.Net and Elk Tips Outdoor Gear!